The Market Development in the Niger Delta II (MADE II) project continues working in the Niger Delta states to promote inclusive, pro-poor growth for farmers and entrepreneurs. The programme is scaling up successful market interventions from the first phase and establishing exit plans with local partners. In addition, the programme is utilizing a similar market systems development approach to help address the root causes of outward migration that have led thousands to fall victim to human traffickers in Libya and Europe. By connecting vulnerable populations with desirable jobs at home, MADE II aims to reduce the number of Nigerians who attempt to migrate to work abroad only to end up trapped in modern slavery. Efforts focus on Edo State, the largest contributor of human trafficking victims from Nigeria. MADE II identified six sectors well positioned to create appealing job opportunities in Edo: high-end agribusiness, information and communication technology, renewable energy, wholesale and retail, cosmetics, and the entertainment industry. Nigeria’s television and film industry, for example, known as “Nollywood,” is the third largest in the world. The industry generates US$800 million a year in revenue while employing more than 1 million people. Nollywood movies and TV shows are popular around the African continent and are increasing in demand due to new satellite and streaming services. In the coming years, the industry is forecasted to hire many skilled workers, such as set designers, production assistants, lighting and sound technicians, and make-up artists. 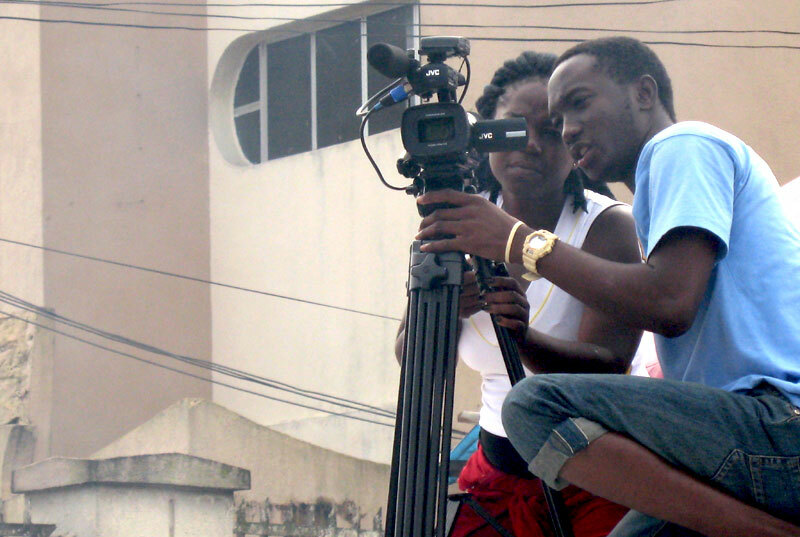 To connect job seekers in Edo with opportunities in Nollywood, MADE II will work with industry professionals and associations, such as the Nollywood Association of Hair and Makeup Artists, to create online and in-person training courses for in-demand production skills, as well as establishing internship programs. Working with companies and professional associations across six target sectors—including ICT, renewable energy, and entertainment—to present value propositions for investing in job creation. Partnering with nongovernmental organizations and education centres to tailor job training to market demands and connect with populations susceptible to trafficking. Scaling successful market interventions and establishing sustainable exit plans with local partners. It is expected that at least 155,000 Nigerians living in poverty will experience increase in their incomes by an average of 15 percent, and the programme will help generate an additional £14.5 million in income for farmers and small businesses through market development interventions. MADE II is applying its market systems approach in conflict-affected areas of the Niger Delta including Edo, Akwa Ibom, Bayelsa, Delta, and Rivers. The Macro-Economic Stabilization and Reform (MESR) project is addressing Egypt’s macroeconomic challenges and assisting with implementing reforms expected by the International Monetary Fund.